This range of labels if for use with the DYMO LabelWriter models. Also Suitable for CoStar LabelWriter� and Seiko Smart Label Printers�. DYMO LabelWriter Labels are made from high quality self-adhesive thermal material that is suitable for use in applications where light, heat and humidity are not excessive. There are many different pre-cut formats to suit most labelling tasks. 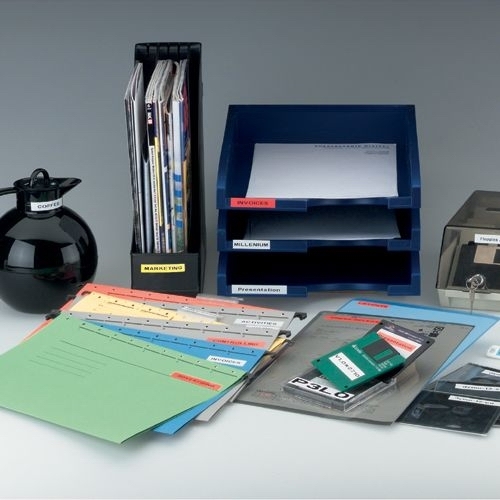 The majority of LabelWriter labels are made using a general-purpose permanent adhesive. Labels that are designated as removable are made from an adhesive that allows the label to be removed and repositioned. These labels are supplied on a roll for easy loading. As is the case with most self-adhesive labels, DYMO LabelWriter labels should be applied to clean, dry surfaces.